Time really flies this year. Before we know it, 2013 is all but gone and 2014 is hours away. I am posting this as I have always done, recalling my favourite photographic moments of the year. In March, I was elated when I was informed that one of my photos of the Supertrees at the Gardens by the Bay was selected to be exhibited at South by Southwest (SXSW) 2013 held in Austin, Texas. More good things came after that. In June, the Supermoon descended upon us again. After failing at my first attempt last year, I decided to give it another go. I was successful this time round, and responding to a National Geographic call for photos in their YourShot Community, I submitted a couple of my shots, thinking nothing much of them. Flickr also had a similar call for photos and I submitted to them as well. 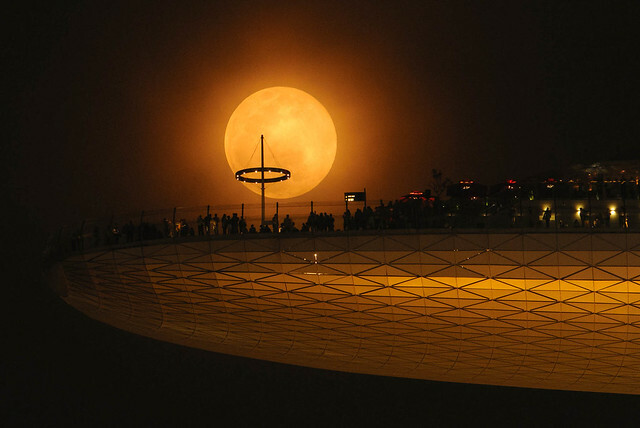 The Supermoon at the tip of the Marina Bay Sands Skypark. 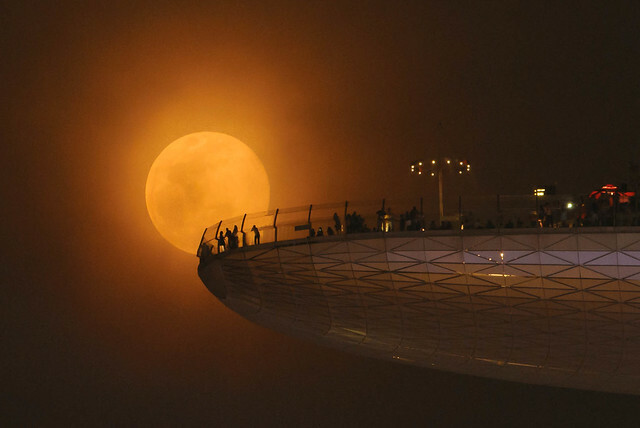 The Supermoon rises above the Marina Bay Sands Skypark. A few days later, Flickr selected my photo for their blog post about the Supermoon. Before my excitement died down, I found that I was featured on National Geographic’s Supermoon selection as well! That collection also featured excellent shots submitted by other readers. I was even more surprised when National Geographic actually paid US$100 for using the photo! And that’s not all. Just before the close of the year, National Geographic did a round up of the most shared news stories of 2013, and my Supermoon shot was at #2. That’s indeed a great news to end 2013. 2013 also saw my first and successful attempt at capturing lightning, something I’ve not tried before. I hope to have more opportunities to shoot lightning (safely of course) in future. Lightning strikes over Tampines in Singapore. 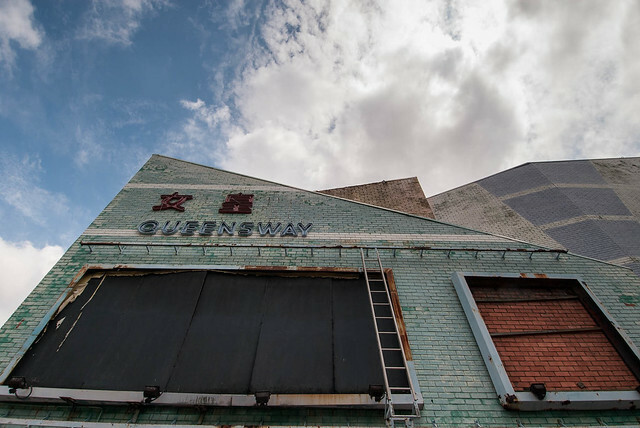 Queenstown Cinema and Bowling Alley went under the wrecking ball in July 2013. Thankfully, I’ve taken a few shots of it in 2010, before news of its impending demise. Unfortunately, unlike Capitol Theatre, I didn’t have as many shots. 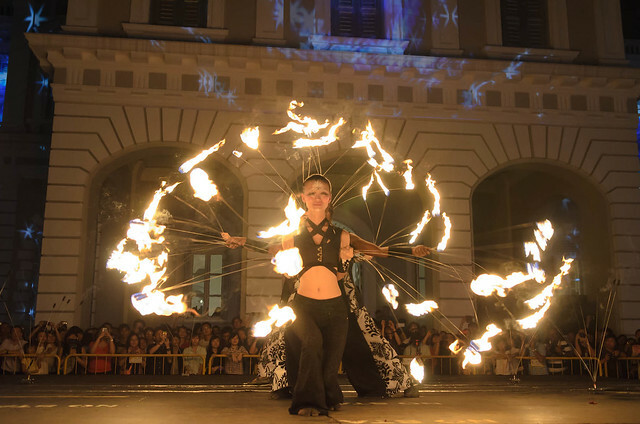 The Singapore Night Festival returns again in August this year and I covered it again. I felt it wasn’t as interesting as the previous festival though. 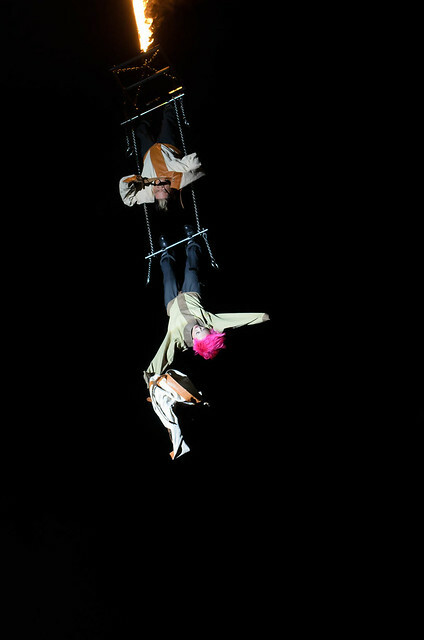 The festival ended on a high note, with magician-duo JC Sum and “Magic Babe” Ning being suspended 75ft in the air, strapped with not one but TWO straitjackets on a burning rope. 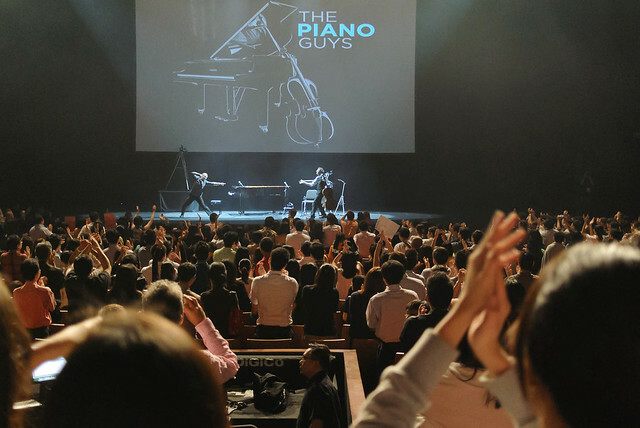 One of my favourite YouTube musicians, The Piano Guys came to Singapore for a one-night only concert in September. I attended the concert with a few friends, and was very surprised that photography and videography is actually allowed. This cannot be said for many other performances, which usually have ridiculous no-photo rules. The Piano Guys receive a standing ovation from the 4,000+ audience at Star Theatre. 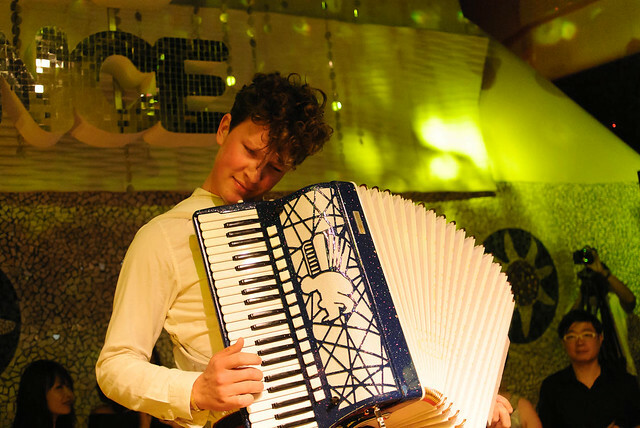 Lithuanian accordionist Martynas Levickis also came to Singapore to perform in the most unlikely of places – Zouk – more known as a dance club in Singapore than a classical performance venue. Martynas performing on a platform in front of the stage. 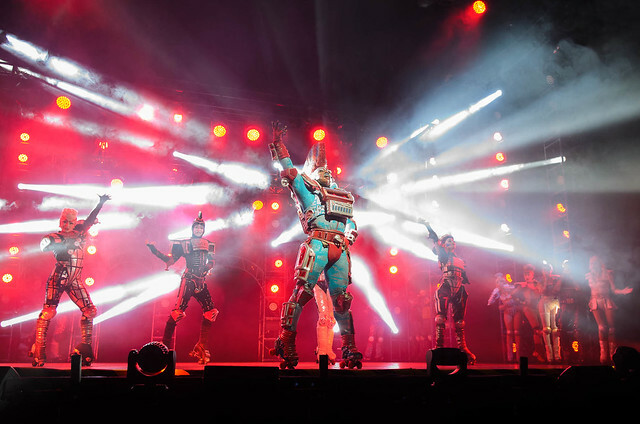 Still on the musical front, Andrew Lloyd Webber’s Starlight Express rolls into Singapore and I was privileged to be invited to the media event, where I managed to take some photos. This would otherwise be impossible during a regular performance. Finally, I visited Portugal and Spain earlier this month and will be gradually posting the pictures here. Do watch out for them. Meanwhile, here’s to a great 2014! 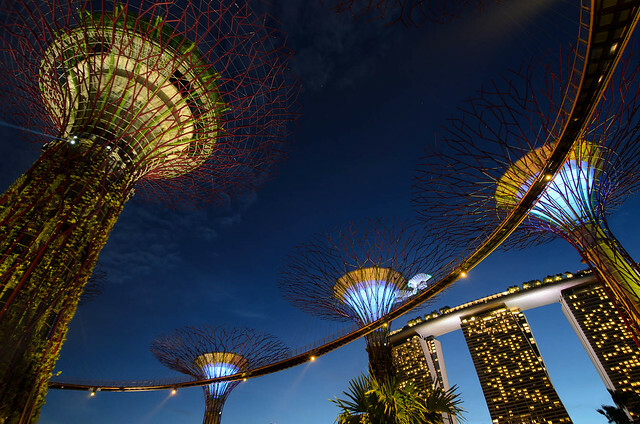 This entry was posted in Photography and tagged flickr, gardens by the bay, lightning, martynas, national geographic, night festival, piano guys, queenstown, starlight express, supermoon, supertrees. Bookmark the permalink. Congrats on your photography achievements !